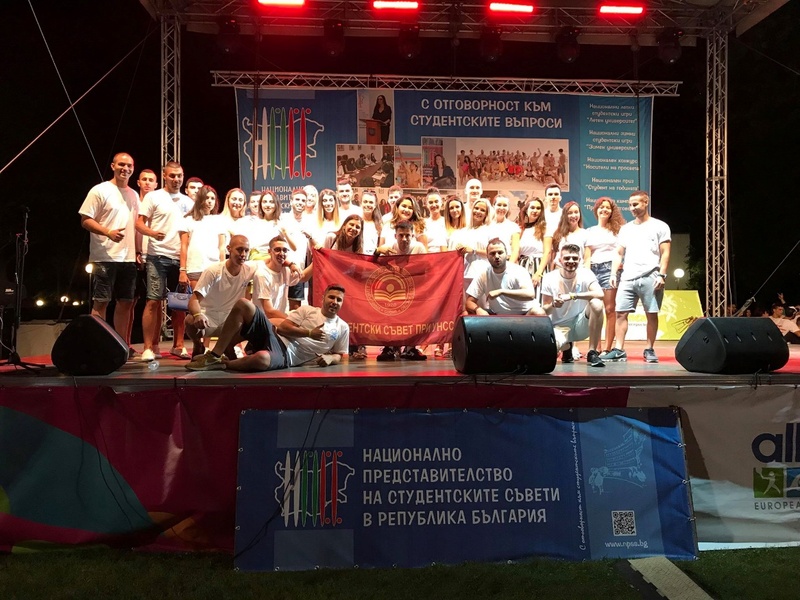 Students from the UNWE were among the 400 participants (from more than 25 universities) in the 16th edition of Summer University organized by the National Assembly of Students’ Councils of Bulgaria (NASC). The event was held in the Bulgarian resort Albena. The UNWE students competed in 9 kinds of sports: beach football, beach volleyball, street basketball, beach tennis, swimming, beach relay-race, rope pull, beach long-distance race and chess. The UNWE beach football team achieved the greatest success - silver medals.  Its members were Kristian Madzhurov, Daniel Parushev, Angel Stoykov, Todor Vukov, Ilian Chabukliisky, Stoil Malinov, Georgy Kostadinov and Vitorio Dimitrov. 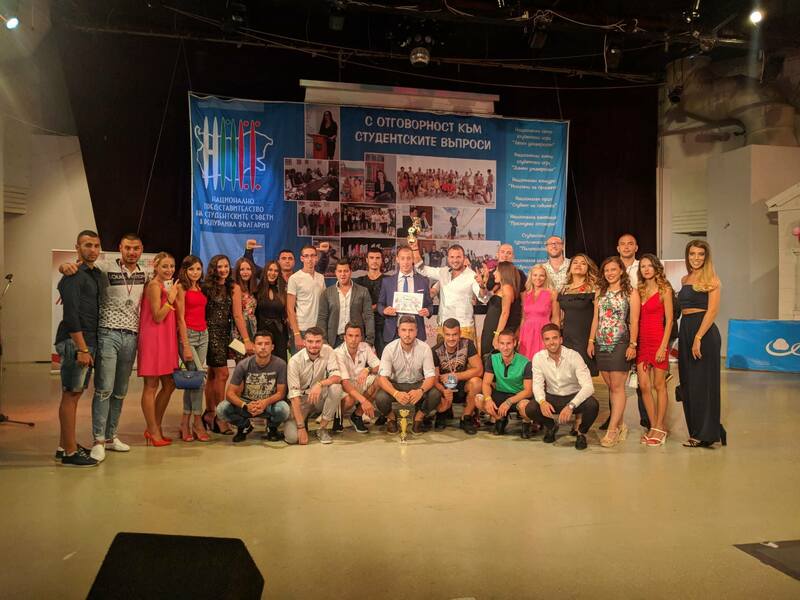 UNWE won also a special award for the largest delegation at the Summer University – 40 students (in the picture below). During the Summer University the students attended several public lectures: Block-Chain – What Is It / Status of Bulgarian Legal Framework / What Can the Law Teach Us / Digital Marketing. They attended also a volleyball match between Bulgaria and Belgium held in Varna (in the picture below). The Summer University is the NASC project that started as National Student Games in 2002. During the event students from all over the country take part in trainings, seminars, sports and cultural meetings. Its major objective is the student sports development and setting up an active dialogue between the student communities of various Bulgarian universities.